There are so many reasons to love Mazatlan. We’ve come up with our 50 favorites. Are we missing some of your favorites? Let us know! Send us an email at info @ casalucila.com with your suggestions. One of the oldest plazas in the city, Plazuela Machado (as it is affectionately called), was built in 1837 and financed by wealthy trader, Juan Nepomuceno Machado. Known as the heart of the Historic Center of Mazatlan, its architecture features both French and Spanish influences. Here, you can enjoy some of the finest sidewalk cafes and bars, art galleries, museums and secure a spot for people-watching while sipping a margarita. Walking around the Historic Center of Mazatlan will show you many sides of the city’s architectural differences, from Spanish-style colonial single-story homes to French Art Nouveau buildings taking up an entire city block. There are no shortages of beautiful and rich structures in the Historic Center! Take a few hours to sight see and imagine yourself in the Colonial times. It is argued that the Angela Peralta Theater’s renovation helped launch the revitalization of the Historic Center. The theater is one of the most sought after tourist attractions for the culturally stimulated. Named after the famed Mexican opera singer, Angela Peralta, who passed away on August 25, 1883, three days after she arrived to perform in Mazatlan from the yellow fever epidemic that ravaged Mazatlan during that time. Catch a performance while in town and take in the stunning renovated opera house. Home to more than 200 vendors selling everything from fruits and vegetables, to souvenirs and jewelry, see the market that thousands of locals shop at daily. Once called the Iron Palace due to its structure and the amount of iron building materials, it is definitely a site to see. The Central Market is a third of the size of the Grand Bazaar in Istanbul. Go on and check it out while you shop like a local. The Basilica is a stunning structure, filled with typical Gothic arches and Renaissance-themed domes, but it has a feature that separates it from most, if not all, Roman Catholic churches. The Star of David can be found in each of its 28 stained glass windows that surround the building which were added as a sign of gratitude to a wealthy Jewish family that helped fund the construction. Another noteworthy feature is the organ built in Paris by Aristide Cavaille-Coll, one of the greatest organ builders of the 19th century. The Museum of Art in Mazatlan features many great local as well as national artists that are internationally renowned. Jorge Salcido is currently the featured artist with much of his art reflecting Andy Warhol throughout each piece. The museum is fairly small and a typical tour takes less than an hour. It is a cultural gem located in the Historic Center in Mazatlan that is definitely worth a visit. The indigenous natives that once inhabited the area around modern day Mazatlan were made up of the following tribes: Acaxee Cahita, Pacaxee, Tahue, Totorame, and Xixime. There are many crafts and artifacts of primarily the Totorame tribe on display at the museum. Take a gander and see remnants of the carefully preserved items from the Totorame tribe. 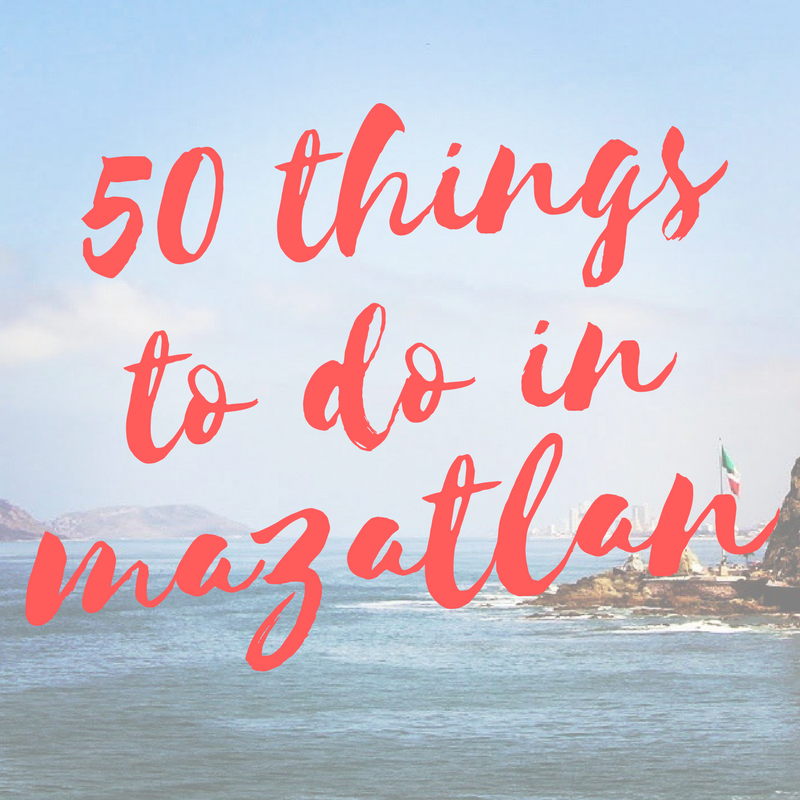 Probably one of Mazatlan’s most memorable features is the seaside boardwalk. Known as the longest in Mexico and second longest in the world, it spans 4.5 miles and is the prime location for sunset views from all points of the boardwalk due to its unobstructed views of the ocean. 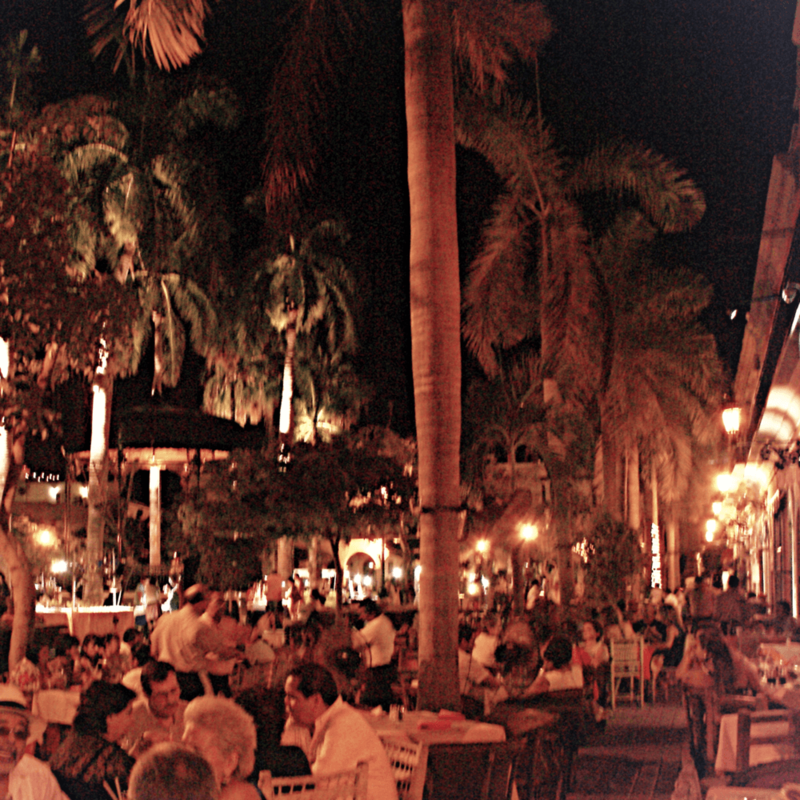 Take a walk, run or bike up and down the malecon and blend in with the locals. Stop to take pictures with each of the monuments that line the boardwalk from start to finish. Only in Mazatlan will you find that open-air golf cart taxi to take you around town. Invented and unique to the city, Pulmonias, which is a literal translation to Pneumonia in Spanish, was called as such because local taxi drivers would warn passengers that the open-air golf car taxi could give them pneumonia. A very fun and easy trip to enjoy during your stay in Mazatlan. If you are walking along the malecon by the Historic Center you’ll come across an oceanside park called Parque Glorieta Rodolfo Sanchez Taboada. There you will find a cliff where you can see divers jumping into the waters during high wave. The water at best is 8.2 feet deep so each diver needs to carefully calculate their dives to coincide with the tide. Divers are not paid so make sure to tip them if you can! Folklore will say that the reason why the cave is haunted by the devil is because people used to go in and never come back out. Not completely untrue, the cave was so expansive inside that people would get permanently lost or go missing for hours or days. The cave’s original purpose was to store and keep cold the ice that was shipped to Mazatlan from San Francisco. Today the name of the hill that surrounds the cave is called Icebox Hill. El Faro is the highest operating lighthouse in the world, once second to the Gibraltor Lighthouse that has since been decommissioned. It sits at 515 feet on the peak of Cerro del Creston. There is no easy way to get up to the top of the hill and requires over 330 steps. Nevertheless, it is definitely worth the hike. Once you reach the top of the summit there are picturesque views of Mazatlan and the sea. Since Hurricane Olivia in 1975, there have not been any hurricanes that have hit Mazatlan. Every year during hurricane season, at least 30 hurricanes go up along the Pacific Coast. Legend has it that ever since the local fishermen commissioned the Virgin of Guadalupe statue to be built and permanently installed in 1975, it has protected the city from any catastrophic damages and warded off hurricanes. Some say that you can actually see the path of a storm that was headed straight to Mazatlan but then shifted course back out to sea. Mazatlan’s French heritage traces back to 1864 when many of the French soldiers who served with the self-proclaimed Emperor of Mexico, Maximilian, defected after failing to create a puppet French Monarchy in Mexico. After the Battle of Mazatlan, when the French retreated back to sea after failing to conquer Mazatlan, many of the French soldiers went up the coast and blended in with the communities to avoid going back to France and having to endure the long trip at sea. This is where French food was infused into Mexican cuisine. Order the Panquekis at Lucila’s Restaurant for the traditional style French crepes or dive into a sandwich with Bolillo bread, the French way of saying Baguette. It’s easy to see why UNESCO has designated both traditional French and Mexican cuisines as Cultural Treasures. Olas Altas Beach – This locals beach is generally empty, but it is a favorite for young surfers trying to catch their next high wave. Located steps from our Casa Lucila Hotel Boutique, this is a nice escape from the overcrowded touristy beaches. Los Pinos Beach – Located next to the Casa del Marino, this quiet beach area is another favorite for locals. Its shores are quiet and peaceful, perfect for reading a book or to catch some rays. Playa Norte – If eating and walking along the longest uninterrupted strip of city beach in Mazatlan is what you have in mind, then head on over to Playa Norte. You can dine at any of the restaurants along the beachfront alfresco and walk off the food on the sandy beach. Playa Camaron + Playa Gaviotas – This strip of beach hosts all of the major hotel resorts and offers the opportunity to parasail or bodysurf. Whatever watersport activities call out to you most, you’ll find it at these two beaches. Playa Sabalo – One of the calmest beaches, located north of the Golden Zone, Sabalo is the place to go swimming in the ocean. Playa Cerritos + Playa Bruja – Virtually empty, these two beach strips are great for hosting your own beach party as there is plenty of space to gather family and friends. The only aquarium located along the Pacific Coast of Mexico is in Mazatlan. It is a space to help inspire and educate children and adults on the preservation of animals and wildlife. Mazatlan’s Aquarium has a botanical garden, the aquarium and a planetarium. The aquarium itself boasts over 200 species of fish. There are no shortages of art galleries and boutiques in Mazatlan’s Historic Center. Start at Casa Etnika and work your way to Nidart, stopping along the way at Mazatlan’s Farmers Market and Mexicolors Gallery. You’ll find unique home décor and accents to take home with you! Start your morning with a breezy bike ride rental from Baikas Bike Rental shop where you can rent a bike or an EzyRoller by the day, half day or full day. Ride all along the malecon for an intense workout or just a casual afternoon. If water sports get your adrenaline pumping, head on down to the hotel beach areas Playa Cerritos and Gaviotas and you’ll find a number of vendors working independently or affiliated with some of the hotel resorts. You can go parasailing, rent jet skis, and ride a banana boat. For those who seek adventures high up above the trees, ziplining is becoming increasingly popular in Mazatlan with a few companies offering packages such as our friends Huana Coa. You’ll find yourself flying over the treetops of rural Sinaloa with many zip lines to choose from at each location. Afterwards you can always enjoy a nice stop for lunch and tequila tasting to end the day. Los Osuna Agave Azul has been making Blue Agave since 1876 and has since been awarded numerous awards throughout Mexico and Internationally. A proud Sinaloan product, Los Osuna is a delicious mescal that is to be sipped and savored. Located about an hour outside of Mazatlan, there are tours and tastings offered daily at the distillery. Our suggestion? Serve yourself equal parts of Los Osuna Vainilla with Evaporated milk…trust us, it’s delicious! Did You Know? Tequila can only be called “Tequila” if it was produced in the state of Jalisco. Enjoy the Mazatlan-produced Pacifico beer (or sip on an ice cold Mexican white wine) and catch a breathtaking sunset along the malecon or from the Casa Lucila Hotel Boutique rooftop. You’ll thank us later. On the street German Evers at house #61 in the center of town, there is a hidden marshmallow factory that operates out of a home. Here you will find the Suaves, a coconut covered marshmallow that has been around for over 55 years. The marshmallows are soft without being sticky and melt in your mouth. See how the Garcia family keeps up the family tradition and get the recipe firsthand from the pioneer of candies. The Suaves recipe includes sugar, grenadine, vanilla, glucose and toasted ground coconut. Onilikan was conceptualized when 10 friends came together, all with different business backgrounds and interests, to create an authentic product they could be proud of: a natural mango liqueur. They use mangoes and blue agave, both of which can be found throughout the state of Sinaloa, to create the liqueurs they are so well known for. Tours are offered both in English and Spanish by their bilingual staff. Plus you get a taste at the end… what more could you ask for? Microbreweries have been popping up all over the United States, Canada and Europe, but it’s a brand new concept in Mexico. If you head to the end of Ave. Miguel Aleman heading towards the cruise ships, you’ll find this tiny microbrewery called Tres Islas Cerveceria, with an IPA worth bragging about. Fill up a growler and bring it back to your hotel to drink while enjoying time with your plus one. Tacos Playa Sur gets our vote for having some of the YUMMIEST beef tacos in Mazatlan (we’ve done our research and gained a few pounds along the way). Try their Vampiros with melted cheese and a significant portion of beef all on top of a hard taco. If tacos aren’t your thing, (why are you in Mexico?) then get a Papa Loca, a super-sized baked potato with so many toppings, you can barely see the potato. What are your thoughts about eating beef that was cooked outside for several days before being minced and shredded? Machaca is probably the best tasting beef and we like our meat! Most places sell it but we kind of like ours at Lucila’s Restaurant best for breakfast with some huevos estrellados (sunny side eggs). Yes, we do realize that there is probably a movie theater in every city you will ever visit. But do they all sell 2x1 tickets of $40 pesos each (with today’s conversion it’s about $1.25 USD) to sit back, order food directly from a waiter, get a warm blanket, and pretty much see a brand new movie that hasn’t even hit the States or Canada yet, for less than $2.00 USD a person? I don’t know about you but I’ve never been to many places that offer such a high level VIP treatment for the movies… Just saying. Our pick is the Cinemex Platino located at the Galerias Mall. Okay, okay. We’re not really going to hype this place up like it’s from space but we do enjoy a good round or two of bowling. Located on Av Camarón Sábalo 5510, Space Bowling is a clean, fairly new bowling alley that sells burgers and pizza for those who just want to bowl. If you enjoy doing yoga, specifically Hatha yoga, then you’ll enjoy the package we offer once a month on a Saturday that includes meditation and a super healthy breakfast. The best part of it all? You don’t need to be a guest to enjoy this offer and the bonus is the view… how can you ever pass up this view? Mazatlan’s best Canadian ex-pat singer-songwriter, Cheryl Gaudet, performs weekly at Lucila’s Restaurant. If dinner and a show is something up your alley, from November to March you can find Cheryl hanging out and strumming some good ole folk music ranging from her own work to James Taylor to Carol King. It’s not to be missed on Friday nights! Are you a marathoner who loves taking on new challenges as well as traveling the world? Each year, Mazatlan is host to the Gran Maraton Pacifico, an event that sees runners coming back year after year to participate. If running is your thing, why not partake in a race that runs along the coast of Mazatlan’s breathtaking ocean? This year's marathon weekend will take place December 2 & 3. Every year during Carnival season in Mazatlan, the third largest in the world, we host events for who will be Carnival Queen and who will be runner up, Queen of the Floral Games. Winners are selected weeks before the actual start of Carnival, but whether you take a part in the actual voting of the Queen, Carnival season is not to be missed in Mazatlan. If volunteering is more your scene, Cuidad de los Ninos is always looking for volunteers to come in and help with their current task at hand. In 2016, they asked for volunteers to help clean up the children’s playground area that had run amok after a rainstorm. Stop in on your trip as they are always looking for help. Visit Amigos de los Animales and help out by walking a dog, donating food or even adopting a puppy! There are always ways to lend a hand, especially when it comes to animals who are only looking to love someone. Maybe you can be the one that changes the life for that dog? It can be both a humbling and rewarding activity. Tuna is a product of huge export from Mazatlan. Just one company alone, Pinsa Comercial, has a processing plant that produces over two million cans per day. They have cold storages with a capacity to store over 21,000 tons of raw material, and they have 20 purse seiners just in Mazatlan alone. That’s a lot of tuna if you ask us! Tuna is the best in Mazatlan so make sure to stop by a seafood restaurant that serves up a mean Ahi Tuna. Lucila’s Restaurant has got a great dish! Want to get on an ATV and just ride the day away by speeding along the coastlines? With tons of tour companies in Mazatlan offering a wide range of activities, you won’t be disappointed. Check out Mazatlan Tours for some Beach and Backcountry ATV or Sierra Madre Outback ATV. Whatever you decide to do, you’ll get to see a different side to Mazatlan’s colonial heritage. Learn about the history behind Casa Lucila and the Valades family! We have tons of stories we are always happy to share such as, did you know that Alma, the first-born daughter of Fernando and Lucila Valades was runner-up in the infamous 1961 Carnival because the winner’s father bought votes. Or that Fernando Valades, who composed over 200 songs, some of his music can only be found in certain countries. Casa Lucila and the Valades family is rich with history, and we’re happy to share with anyone who inquires.